A pair of sE8 small-diaphragm condenser microphones on a Fazioli grand piano, recorded through Tau Audio preamps and DAD converters with no processing applied. A pair of sE / Rupert Neve RNT large-diaphragm tube condenser microphones on grand piano, recorded through Rupert Neve Designs RMP-D8 mic preamps. Minimal processing applied. Recording Piano: Ribbons or Condensers? 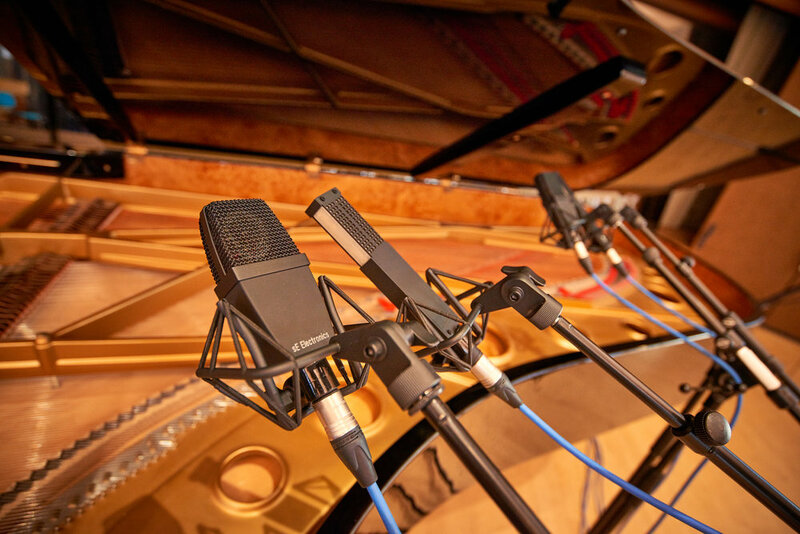 When you record piano, do you use condensers or ribbon mics? Here's an A/B comparison between pairs of our 4400a condensers and our VR2 active ribbons - see if you can hear the subtle differences. The condensers have a more immediate attack and transient response, but the ribbons have a lovely midrange and low-end warmth to them - which do you prefer? Full-res WAV files are below the video - we recommend listening on good headphones!